in #26327, #26326, #26325, and #25715. In Symfony 2.6 we added a Bootstrap theme for Symfony Forms to easily style all your forms based on Bootstrap, the most popular design framework. 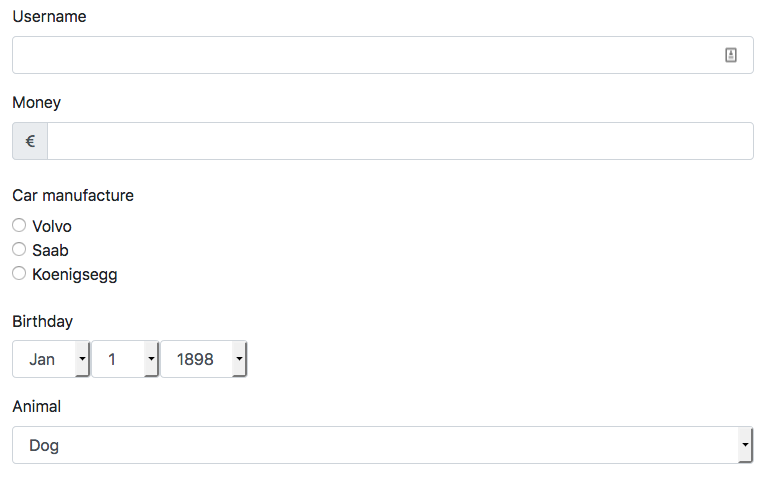 In Symfony 3.4 we updated the form theme for Bootstrap 4, which was still a beta version at that time. Now that the stable version of Bootstrap 4 has been released, in Symfony 4.1 we've updated the form theme again for the latest Bootstrap changes and we've improved it with additional features. Web accessibility is essential to create inclusive apps and services, and it's an integral part of our Symfony Diversity initiative. With much help from an accessibility expert, Sandra, we have made the Bootstrap 4 from theme compliant with the WCAG 2.0 standard. The standard includes rules and guidelines to make content accessible for users with disabilities, including impaired vision, learning disabilities and limited movement. The form theme now supports Bootstrap 4 custom forms, which allow to replace the default browser form elements. 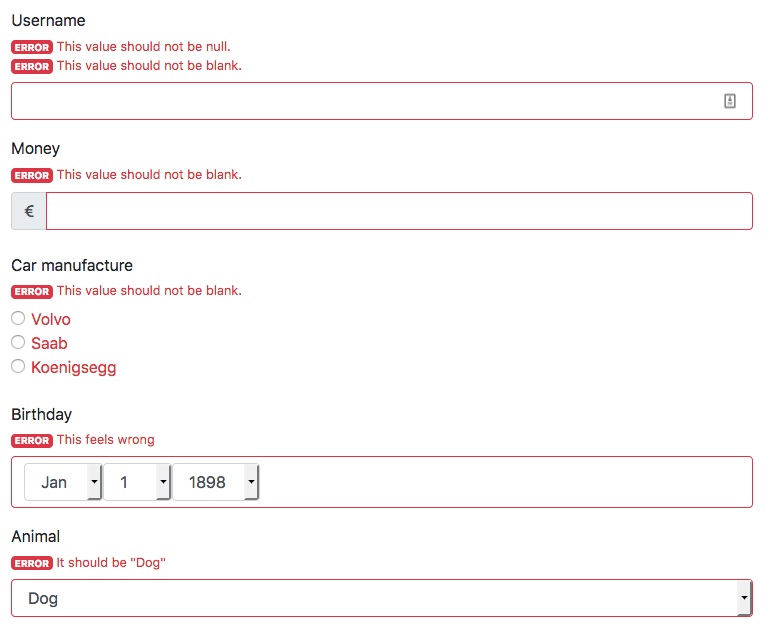 In addition to minor tweaks and fixes, form errors are now rendered inside the <label> element to make sure there is a strong connection between the error and its <input>, as required by the WCAG 2.0 standard. We're working on a new documentation article about Bootstrap 4 and Symfony. You can check the current proposal and suggest improvements or new contents. > learning disabilities, limited movement and learning disabilities. Is the horizontal theme will be modified to support errors too? Right now, because of the structure, there is not enough space to display "long" error messages. Will existing form theme for symfony 3.4 will be updated too? When I want to render form element without label (example render input name as a placeholder). Then invalid input field is rendered in red without error messages - because errors are inside label (which is not rendered). The Symfony Diversity Initiative is already having measurable impact way beyond a statement of intent - this is great! (And the statement of intent is great too!) Thanks! @Dominik images are loading in my browser. They are hosted in Flickr ... maybe you are behind some firewall/proxy that blocks Flickr?